“What should I feed my dog or cat?” and “How much should I feed at each meal?” are two of the most common questions pet owners have. The food and treats you feed your pet is essential for maintaining their overall health. As they grow older, your pet’s nutritional needs may change since each life stage requires a specific balance of vitamins, minerals, protein, fats, and carbohydrates for good digestive health. Proper nutrition and maintaining an ideal body weight will ensure that your pet stays healthy and can improve his or her life expectancy. 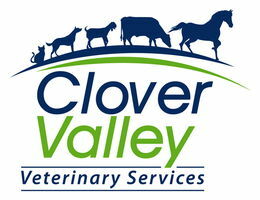 Clover Valley Veterinary Services offers weight loss and weight management services for overweight dogs and cats with weight related health problems to help your pet achieve and maintain a healthy figure. We also carry top of the line therapeutic prescription foods and therapeutic diets, which are specially formulated for the optimal balance of pet health and nutritional support. Call us today for a nutritional counseling appointment or to discuss nutrition, diet, and weight management with one of our veterinarians.